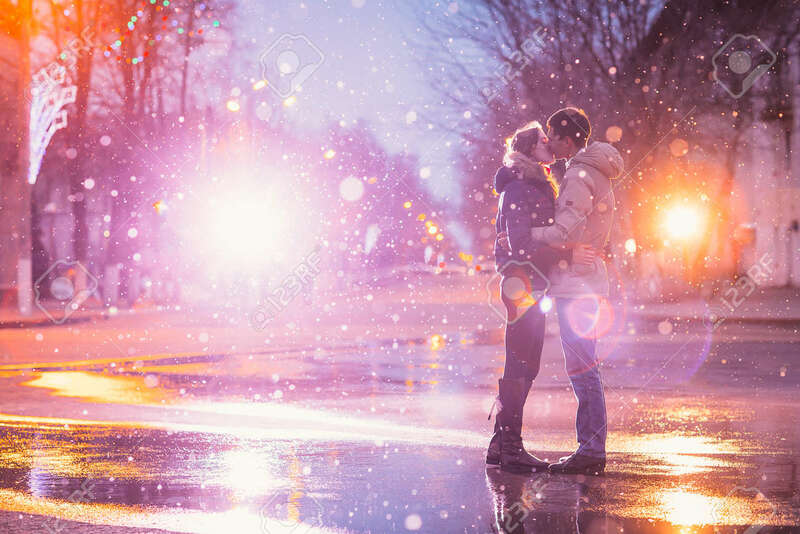 In Love Couple Kissing In The Snow At Night City Street. Filtered With Grain And Light Flashing Royalty Free Fotografie A Reklamní Fotografie. Image 38746968.